We are looking for a new hair stylist to add to our team. We are seeking individuals who are motivated, with at least TWO years of experience in the salon industry with both cut and color, some client following, a team player with a positive attitude and drive to build their growing business. This is a (40 hour/week) FULL TIME position. You must be available to work 10am-6pm at least 3 days during the week (Monday-Saturday are the days available). We use Aveda hair color. If you do not have experience working with Aveda hair products we will provide assistance with your education needs. Aveda Certification is required for the stylist position from the Aveda Institute. This training is complimentary. You may email a copy of your resume to us or call/stop in to set up an interview. We look forward to connecting with you! 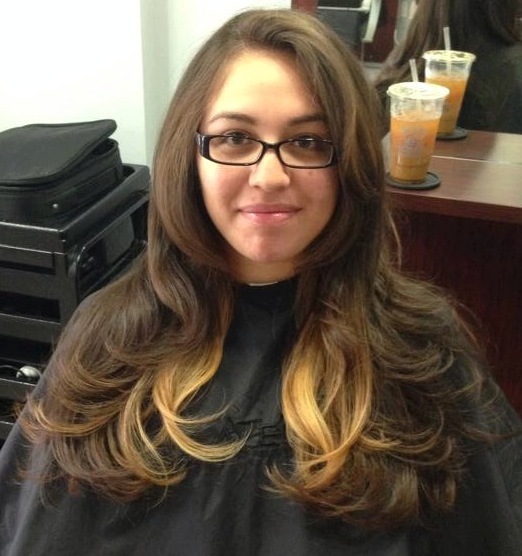 This entry was posted in Uncategorized and tagged Chicago, chicago avenue, Connection Salon, experience, Hair Color, hair Cutting, hair Dresser, Hair Stylist, Haircut, Humboldt Park, job available, licensed, Professional, ukrainian village, western avenue on May 13, 2014 by admin. Whether you have a Wedding, Event, Prom or going for a night out, book your next Updo orBlow Dry & Style appointment with us and get 20% OFF for the month of May. Too many chemical peels today use incredibly strong chemicals- so strong, they can damage the living dermis and cause adverse side effects. The NEW Expert Strength BioActive Peel is different. The product of years of research by the skin health experts at Dermalogica and The International Dermal Institute. It powerfully targets fine lines, hyperpigmentation and acne to take skin health to a whole new depth. Been waxed. You must wait 72 hours after waxing to receive the BAP Treatment and must wait 72 hours to get waxing on the face/body after receiving the BAP Treatment. Using Prescribed Exfoliants (Retin-A, Renova, etc.) 48 hours prior/during/after the BioActive Peel Treatment, or currently taking antibiotics. Used/Using Isotretinoin (Accutane) in the past 6 months. BAP Peel can ONLY be performed after 6 months of discontinuing Accutane. Pregnant or Breast Feeding. BAP Treatment contains salicylic acid and you must avoid this ingredient to avoid passing it to your baby. Call and book your next appointment/free consultation with Juanita for this service. Can’t get away to call us to schedule your next appointment? Book your next appointment with us online! Click HERE to navigate to the Appointment page and login. This entry was posted in Uncategorized and tagged acne breakout, Aveda, balance skin tone, BioActive Peel, Blowdry, Connection Salon, Consultation, Deals, Dermalogica, Discount, Event, Facial, Facial Peel, fine lines, Frizzy Hair, Full Service, Global Keratin, Hair Straightening, Hair Style, Hair Styling, Hair Texture, hyperpigmentation, Keratin Treatment, makeup, makeupbyjuanie, Peel, Photodamage, Pigmentation, Prom, Promotions, Reduce Frizz, rough skin, safe ingredients, salicylic acid, Salon, Sensitive skin, Side Effects, skin congestion, Skin Treatment, Smooth Hair, Spa, Straightening Treatment, Updos, Wedding, wrinkles on May 1, 2014 by admin.